Click to listen to episode (2:03). From the Cumberland Gap to the Atlantic Ocean, this is Virginia Water Radio for the week of September 24, 2012. This week we feature a series of mystery sounds. Actually, the sounds will be easily recognizable, but the mystery is—what’s their connection to water? Have a listen for about 20 seconds. You’ve been listening to railroad clatter and a warning horn from trains recorded along the New River in Montgomery County, Virginia; along the Roanoke River in Roanoke County, Virginia; and along the Potomac River near Pawpaw, West Virginia. Many railroad lines developed along river courses that provided passageways through mountain ridges, or where cities and other commercial centers had originally located to take advantage of river-based transportation and commerce. Other Virginia examples include active rail lines along parts of the Clinch, James, and Shenandoah rivers, as well as former lines now converted to recreational trails, such as the Chessie Nature Trail along the Maury River in Rockbridge County, the Guest River Gorge Trail in Wise County, and the New River Trail State Park from Galax to Pulaski. (Above) Swinging pedestrian bridge view toward railroad cars across the James River from downtown Buchanan, Virginia (Botetourt County), September 19, 2010. This February 11, 2009, view from Scottsville, Virginia (Albemarle County), shows the town’s James River flood gate in foreground, the railroad line in middle ground, and trees along the river bank in the background. Acknowledgments: The connection between railroad lines and rivers was previously featured as part of Episode 25 (week of July 19, 2010). Sources and more information: For one example of the development of different transportation means along a river course, see “Scottsville Transportation” at the Web site of The Scottsville Museum, http://scottsvillemuseum.com/transportation/home.html. Information about the history of transportation along the Potomac River is available at the National Park Service’s Chesapeake and Ohio Canal Web site, at http://www.nps.gov/choh/index.htm. 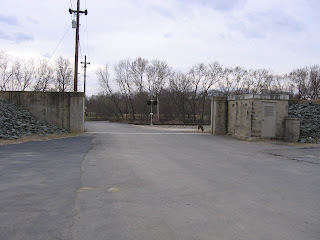 The Virginia Department of Game and Inland Fisheries (VDFIG) provides information about the Chessie Nature Trail online at http://www.dgif.virginia.gov/vbwt/site.asp?trail=2&loop=MRR&site=MRR02, and about the Guest River Gorge Trail online at http://www.dgif.virginia.gov/vbwt/site.asp?trail=2&loop=MAW&site=MAW03 (both are featured in the VDFIG’s Virginia Birding and Wildlife Trail Guide). 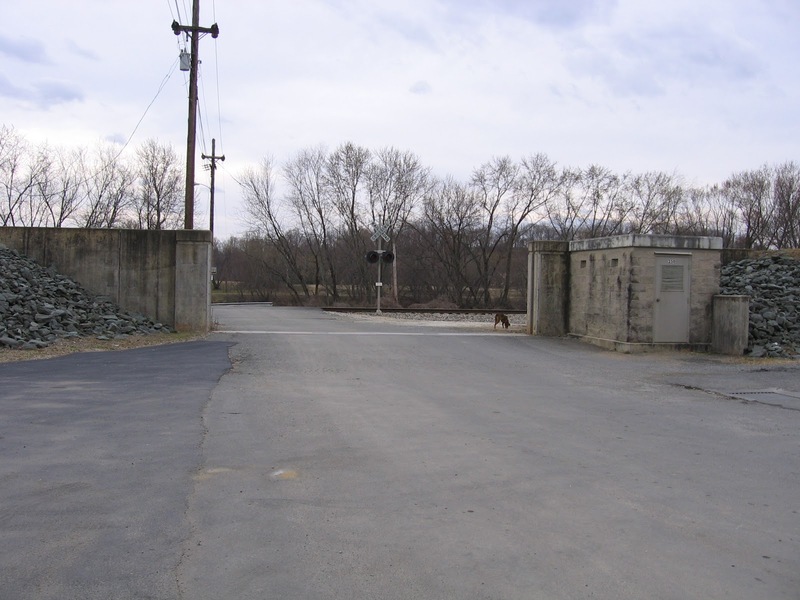 Information about New River Trail State Park is available from the Virginia Department of Conservation and Recreation, online at http://www.dcr.virginia.gov/state_parks/new.shtml.